FRAMINGHAM, Mass., March 22, 2018 – Worldwide spending on cognitive and artificial intelligence (AI) systems will reach $19.1 billion in 2018, an increase of 54.2% over the amount spent in 2017. With industries investing aggressively in projects that utilize cognitive/AI software capabilities, the International Data Corporation (IDC) Worldwide Semiannual Cognitive Artificial Intelligence Systems Spending Guide forecasts cognitive and AI spending will grow to $52.2 billion in 2021 and achieve a compound annual growth rate (CAGR) of 46.2% over the 2016-2021 forecast period. "Interest and awareness of AI is at a fever pitch. Every industry and every organization should be evaluating AI to see how it will affect their business processes and go-to-market efficiencies," said David Schubmehl, research director, Cognitive/Artificial Intelligence Systems at IDC. "IDC has estimated that by 2019, 40% of digital transformation initiatives will use AI services and by 2021, 75% of enterprise applications will use AI. From predictions, recommendations, and advice to automated customer service agents and intelligent process automation, AI is changing the face of how we interact with computer systems." Retail will overtake banking in 2018 to become the industry leader in terms of cognitive/AI spending. Retail firms will invest $3.4 billion this year on a range of AI use cases, including automated customer service agents, expert shopping advisors and product recommendations, and merchandising for omni channel operations. Much of the $3.3 billion spent by the banking industry will go toward automated threat intelligence and prevention systems, fraud analysis and investigation, and program advisors and recommendation systems. Discrete manufacturing will be the third largest industry for AI spending with $2.0 billion going toward a range of use cases including automated preventative maintenance and quality management investigation and recommendation systems. The fourth largest industry, healthcare providers, will allocate most of its $1.7 billion investment to diagnosis and treatment systems. 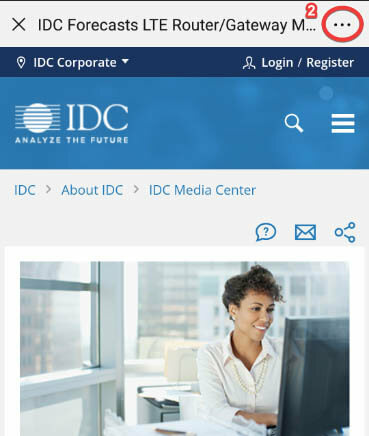 "Enterprise digital transformation strategies are increasingly including multiple cognitive/artificial intelligence use cases," said Marianne Daquila, research manager, Customer Insights & Analysis at IDC. "Business transformation is occurring across all industries as successful companies embrace the array and potential impact of these solutions. Automated customer service agents, increased public safety, preventative maintenance, reduction of fraud, and improved healthcare diagnosis are just the tip of the iceberg driving spend today. 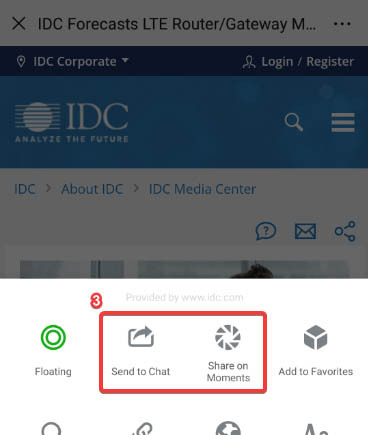 With double-digit year-over-year spending growth forecast, IDC expects to see an increase in general use cases, as well as a refinement of industry-specific use cases." The cognitive/AI use cases that will see the largest spending totals in 2018 are: automated customer service agents ($2.4 billion) with significant investments from the retail and telecommunications industries; automated threat intelligence and prevention systems ($1.5 billion) with the banking, utilities, and telecommunications industries as the leading industries; and sales process recommendation and automation ($1.45 billion) spending led by the retail and media industries. Three other use cases will be close behind in terms of global spending in 2018: automated preventive maintenance; diagnosis and treatment systems; and fraud analysis and investigation. The use cases that will see the fastest spending growth over the 2016-2021 forecast period are: public safety and emergency response (75.4% CAGR), pharmaceutical research and discovery (70.5% CAGR), and expert shopping advisors and product recommendations (67.3% CAGR). A little more than half of all cognitive/AI spending throughout the forecast will go toward cognitive software. The largest software category is cognitive applications, which includes cognitively-enabled process and industry applications that automatically learn, discover, and make recommendations or predictions. The other software category is cognitive platforms, which facilitate the development of intelligent, advisory, and cognitively enabled applications. Industries will also invest in IT services to help with the development and implementation of their cognitive/AI systems and business services such as consulting and horizontal business process outsourcing related to these systems. The smallest category of technology spending will be the hardware (servers and storage) needed to support the systems. On a geographic basis, the United States will deliver more than three quarters of all spending on cognitive/AI systems in 2018, led by the retail and banking industries. Western Europe will be the second largest region in 2018, led by retail, discrete manufacturing and banking. The strongest spending growth over the five-year forecast will be in Japan (73.5% CAGR) and Asia/Pacific (excluding Japan and China) (72.9% CAGR). China will also experience strong spending growth throughout the forecast (68.2% CAGR). "The latest iteration of the Cognitive/AI Spending Guide is a roadmap for the journey of organizational digital transformation through the use of AI, deep learning, and machine learning," added Schubmehl. "Organizations should be evaluating and starting to use AI throughout their systems and the Cognitive/AI Spending Guide is an indispensable resource in that effort." The Worldwide Semiannual Cognitive Artificial Intelligence Systems Spending Guide sizes spending for technologies that analyze, organize, access, and provide advisory services based on a range of unstructured information. The spending guide quantifies the cognitive computing opportunity by providing data for more than 20 use cases across 16 industries in eight regions. Data is also available for the related hardware, software, and services categories. 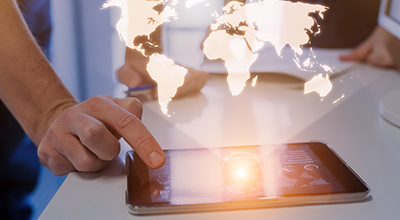 Unlike any other research in the industry, the detailed segmentation and timely, global data is designed to help suppliers targeting the market to identify market opportunities and execute an effective strategy.